I’m not a fan of Mika Brzezinski but I’ve gotta admit she nailed this one. Since day one of Obama’s reign the Right has been looking for scandal and unlike his Democratic predecessor Bill Clinton, Obama hasn’t really given them one so they’ve had to make one up. From the Affordable Care Act to Benghazi and now this, the release of an American POW from the Afghanistan theater, the #DemonicGOP has pulled scandal after scandal right out of their rear ends and flung them against the walls of our collective conscience. If it stuck they ran with it, if it didn’t…for example the binladen hit/assassination they dropped it and moved on. One thing is for sure…..Obama has made America safer from external foes, during his two terms so far and he’s dealt a serious blow to foreign American enemies who’ve dealt in violent rhetoric and threats against America. Anyone remember Anwar al-Awlaki?? So this video was introduced as “satire”? It shouldn’t have been. For far too many people of color this is the reality with which they are perceived but the tragedy is the the foibles that are highlighted in the video are common to all of America’s residents. Hayes did this piece in response to a piece Bill O’Reilly did, and knowing what we know about O’Reilly, it shouldn’t be difficult to parody anything he says or does, because he’s such an anachronism anything said about him today is relevant to an O’Reilly of two hundred years ago. Is it time for racial profiling? My comment was in response to U.S. Rep. James Langevin (D) floating the idea of employing the Secret Service for such profiling, and I theorized that because the profiling would inherently target white guys, the political response to such an idea might be similar to the Republican response to the 2009 Homeland Security report looking, in part, at the threat of right-wing terrorism. As you might recall, the same GOP that openly supports profiling — and demonizing — Muslims essentially claimed that the DHS report was unacceptable because its focus on white male terrorist groups allegedly stereotyped (read: offensively profiled) conservatives. Of course, just as I didn’t make such an argument yesterday on MSNBC, I’m not right now arguing for a system of demographically profiling white guys as a means of stopping mass murderers (that’s right, the headline at Beck’s website, the Blaze, is categorically lying by insisting I did make such an argument, when the MSNBC video proves that’s not even close to true). After all, broad demographic profiling is not only grotesquely bigoted in how it unduly stereotypes whole groups, it also doesn’t actually work as a security measure and runs the risk of becoming yet another Big Brother-ish monster (this is especially true when a lawmaker is forwarding the idea of deploying a quasi-military apparatus like the Secret Service). Additionally, I’m not saying we should avoid the complex discussion about myriad issues (gun control, mental health, violence in Hollywood products, etc.) that we are having in the aftermath of the Connecticut tragedy. On the contrary, I believe it is good news that those nuanced conversations — rather than simplistic calls for punitive measures against a demographic group — are able to happen, and it’s particularly good news that they are persisting in the face of pro-gun extremists’ best effort to polarize the conversation. While such fair treatment should be the norm for all citizens, the double standard at work makes clear it is still a special privilege for a select white few. That’s the issue at the heart of my comment on MSNBC — and it is a pressing problem no matter how much the conservative media machine wants to pretend it isn’t. It’s not that this is a picture of a woman with her leg(s) flung in the air as she reclines on a table looking back at her male counterpart (client?) who sits a little less provocatively, staring mirthfully into the camera, or that the editors of Vanity Fair, some I hope to God are women, chose to put what others might categorize a sexist photo that questionably demeans or objectifies the image of women in society in their publication ….what’s troublesome about the above picture is Mika Brzezinski has made it easier for politicians to NOT take her and other members of her profession seriously and keep up their steady stream of lies and prevarications which they are counting on members of an obsequious press, to which Brzezinski is a member to give credence too because they are too busy posing like her. At a time when politicians are making outrageous claims about women and women’s health which border on 18th and 19th century logic, during a campaign season we have the likes of the picture above to remind us that some people including some women see them as objects and not as people whose worth extends far beyond their sexuality. If Brezinsky really believes in workplace equality, does she really think the photo above is an example of that vital and necessary element of today’s America? Does she really? Keith Olbermann has been fired by Current Tv and I am for one and very sad about this fact. However, it now appears after some consideration, Olbermann, as brilliant as he is, is as much a symptom of the disease main stream media, MSM, has inflicted on society as he is a victim of the disease. I have linked to his comments several times on this blog and think he was a passionate and capable voice for American progressives. His firing comes very quickly after being dismissed from MSNBC and I’m wondering is there any place left for Olbermann on American airwaves. Olbermann is a by product of MSM and feeds on it as much as excoriating it. MSM in an effort to blunt the real impact of critical journalism makes its journalist like Olbermann, media stars for whom adulation is indispensable. Stars in MSM are like movie stars and professional athletes where marketing is just as important as the product they give to the people. In the case of journalists, the product, news, views, opinions based on facts often gets compromised as news “stars” find themselves slanting the news they give in order to insure their continued marketability. I believe this is a cold, calculated intent of MSM management who thrust upon journalists immense salaries, high profile public exposure and all the perks of being stars in exchange for giving the public the type or slant of news management says is needed to make news companies profitable. The other side of that equation is those in the limelight, the stars, take on sinister personalities, inflating their importance in sometimes very destructive ways. That was the turn I believe Olbermann took. His career in MSM is no doubt over. There will be no major news outlet that will hire him and the passion he brought to the issues of the day is gone. Instead of being despondent about that however, I’m optimistic. For too long, people have pinned the hopes that their viewpoint will find a voice in this or that person, without giving any thought to empowering their voice themselves. Perhaps people will take action individually as well as collectively to pick up the mantle of progressiveness that Olbermann so foolishly brandished and dropped. I wish him well and hope he can resuscitate his career but I’m not counting on it and whether he will or not won’t deter what is written here, and hopefully elsewhere. It’s amazing how history sometimes repeats itself. Keith Olbermann’s departure from MSNBC reminds me of the Phil Donahue firing which happened just before the last Iraq war, but without war drums beating so loudly. 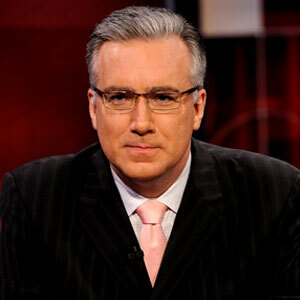 Olbermann, love him or hate him, there was almost no middle ground judging by many of the comments I’ve read on the topic but I respected him for saying things that many given the same pulpit were afraid to say and that’s saying alot. American media’s decline however BEGAN with the Phil Donahue firing and the media’s willingness to become a “stenographer” for the Administration in power. Judy Miller et. co. were the waterboys/girls for an administration with imperialistic intent in mind and objective journalism went right out the window. Of course, you could make the case for journalism’s demise occurring even before that, extending to the days of William Buckley’s association with the CIA and others, but we’re a shortsighted Nation that rarely thinks beyond the last debacle in our history, so let’s leave it at Iraq. Hardly! What America needs is as steady a droning voice for ‘the rule of law’, adherence to the principles of republican democracy as they are getting from the voices of hatred and racism that have taken over America airwaves. Only then can one really “decide” because they will have had the ability to choose from this or that…something not available to the consumer at the moment. I lament the departure of Olbermann…I liked him and linked to him several times here…but there are still many good citizen journalists whose voices have not been silenced who also deserve your time and attention. Please read, listen to what they have to say. 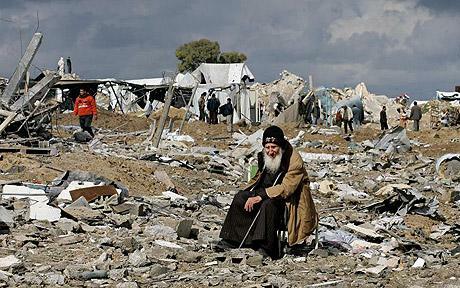 Are we all Gazans now? Just imagine if these were Iranian commandos attacking a multinational, six-boat aid flotilla in international waters. The United States, the European Union and Israel would instantly make sure to shock and awe Iran to kingdom come. Instead, it was Israeli commandos who perpetrated this bit of gunboat diplomacy – or “self-defense” – in the dark hours of the early morning, in international waters, some 130 kilometers off the coast of Gaza. And what if they were Somali pirates? Oh no, these are Israeli pirates fighting shady, “terrorist” Muslims … It doesn’t matter that Arab, Turkish, European, developing-world public opinion and governments are fuming. So what? Israel always gets away with – as Turkey is stressing – “murder” (or “state terrorism”, according to Prime Minister Recep Tayyip Erdogan). Ah, the “resistance” … Debka, essentially an Israeli intelligence digital spin machine, described the peace flotilla occupants as armed with “firebombs, stun grenades, broken glass, slingshots, iron bars, axes and knives”. Were the commandos only carrying paintballs and pistols? So there you have it – Monty Python once again (tragically) remixed for the 21st century. The best-trained special forces in the world just wanted to “talk” and were attacked by a bunch of knife-wielding terrorists in a Turkish boat carrying tons of aid – medicine, building materials, school equipment, food, water purifiers, toys – for the 1.5 million Gazans who have been slowly dying under an Israeli blockade for the past three years, ever since they democratically elected a government by Hamas. Debka even laments that the Israel Defense Forces (IDF) – “famous for its innovative electronic warfare capabilities” – did not bother to jam the signals and images coming from the flotilla, so the whole world wouldn’t see a thing. They also lament the attack was in international waters; “the blockade zone is 20 nautical miles deep from Gaza. An Israeli raid at that limit would have been easier to justify”. Obviously, they ignore the fact that Israel has no legal international claim to the (illegally occupied) Gaza coast. No one excels in post-Orwellian, war-is-peace newspeak as Israel. Not only the Israeli commandos are being spun as the victims; the world is being subjected to a complete Israeli-orchestrated news blackout. Nobody really knows how many civilians were killed (nine, 19,20? Mostly Turkish? Maybe two Algerians? Any Americans or Europeans?) Nobody really knows if they were carrying “weapons”. Nobody really knows at what point the commandos freaked out (eyewitnesses tell of people being killed in their sleep). All the several hundred passengers on the flotilla – Muslims, Christians, diplomats, non-governmental organization officials, journalists – have been de facto kidnapped by Israel. Nobody knows where they are being held. Radio static rules. Only myriad Israeli “spokespeople” control the word. Such as IDF spokeswoman Avital Liebovitch, stressing how lucky were the commandos to “have those guns” to defend themselves (they are being hailed in Israel as “brave heroes”). So here’s how Israeli newspeak goes. Weapons-smuggling Hamas “terrorists” dupe fake international “demonstrators” into becoming human shields and start a firefight with Israeli commandos. Deputy Foreign Minister Daniel Ayalon, for instance, has described the flotilla as an al-Qaeda-linked “armada of hate and violence”. Looks like Hamas and al-Qaeda are now in the business of smuggling cement, orange juice and Chinese dolls. It doesn’t matter in all this that the World Health Organization, in a fresh report, has stressed how Gaza – because of the illegal Israeli blockade the flotilla was trying to break – is mired in absolute poverty, unemployment, lack of medicine and medical equipment, and is being literally starved to death; no less than 10% of Gazans, mostly children, are physically stunted from malnutrition. The Israeli commandos were defending the illegal Israeli blockade in Gaza. Progressive Jews, wherever they live, are the first to admit that most of Israel nowadays is extreme right-wing, paranoid, and convinced they are victims of a global propaganda war. Thus the eternal recurrence message – conveniently enveloped by US tax dollars – to the whole world. Shut up. We are the victims – we are always the victims. If you don’t believe it, you are an anti-Semite. Fortunately for Israel, there’s always the original land of the free, home of the brave. Only in the US large sections of the population are capable of clamoring for punishing sanctions to be imposed on Iran and North Korea while being blind to the slow-motion genocide going on in the Israeli gulag. And only one place in the whole world is capable of buying the narrative of Israel as “victims” of a humanitarian aid flotilla: the US Congress. The US State Department, in an official note, practically condemned the humanitarians. As for US President Barack Obama, so far he has been as mute (embarrassed?) as during the first weeks of the BP oil spill in the Gulf of Mexico; the White House only expressed “deep regret”, without condemning Israel. The White House’s Israeli-in-charge, Rahm Emanuel, had invited Israeli Prime Minister Benjamin Netanyahu to Washington for an amenable kiss-and-makeup get-together this Tuesday. On Monday, Netanyahu canceled the trip. Word in Washington is that Obama would pass a sponge over non-stop expansion of Jewish settlements in the West Bank and the appalling condition of the Gaza gulag as a whole in exchange for crucial extra cash from pro-Israel donors to the Democratic party, essential for winning the November legislative elections in the US. The Democrats are going to get the cash anyway – they just need to be mildly “concerned” about the ocean massacre, and that’s it. Once again poor Obama – perhaps against his will – is left emasculated, like a mere Banana Republic satrap, while Netanyahu is allowed to merrily groan a remixed version of The Village People’s Macho, Macho Man. As the humanitarian flotilla was sailing under Turkish, Greek and Irish flags, the Israeli commandos in fact attacked a microcosm of the real, flesh-and-blood “international community” – with Netanyahu harboring no doubts he’ll once again get away with it. And how does it feel for the rest of us, the real, flesh-and-blood international community – apart from manifesting immense outrage (as did the BRIC countries (Brazil, Russia, India and China) plus Turkey, France and Spain)? A distinct possibility – already considered in quite a few latitudes – is to boycott all things Israeli, or impose sanctions. To really hurt their economy. To totally isolate them diplomatically. If for a majority of Israelis the whole world is their enemy – governments, organizations, non-governmental organizations, aid agencies, public opinion – why not return the compliment?